The Big Beastly Adventure aka 2 Fat People in an RV: Balls! Great Big Pink Balls! Balls! Great Big Pink Balls! You learn a lot about yourself when you go bowling with a group. For instance, I learned that I don't take direction very well. This is unfortunate, since I really need direction. A lot of direction! First they told me to aim for the middle arrow....and the bright pink ball hit the gutter every time. 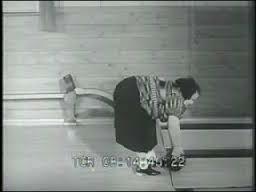 Then they told me to keep my wrist straight, elbow straight and thumb towards the pins. I hit the gutter again, but on the other side - which I suppose is progress. Then I was told to stand sideways. I just about dropped the ball on my foot. I hit the gutter even sooner that time. I even tried bowling left handed. Bad idea. The "two-handed slow roll of death" technique worked well for awhile but it's embarrassing. Needless to say that my scores will not qualify me as a challenger on any TV bowling shows anytime soon....unless they start setting up pins in the gutters. On a more cultural level, my non-sick sister and I went to a fiddling jam session at the library the other day. Great fun! 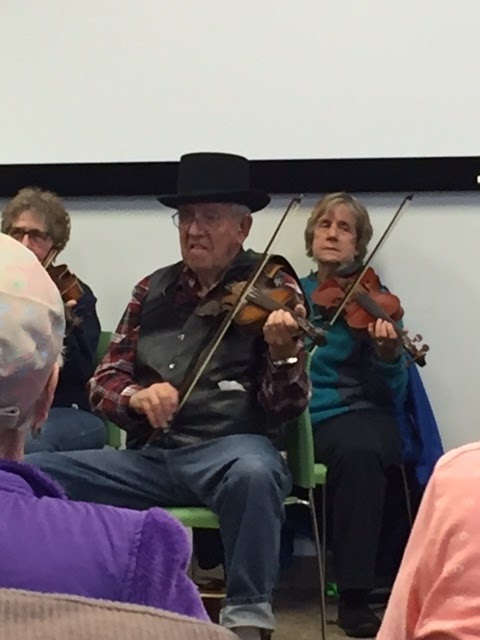 I even asked about taking fiddle lessons but.....wait for it.... the cold came back with a vengeance and I've been flat on my back for a week. I have removed myself from all human contact and finally broke down today and saw a doctor. What a pain!